One of the most anticipated small cars is the new Maruti Alto 800 not just because it is going to be an affordable small car but also because it will be launched as a replacement to the legendary Maruti 800. A few days back one of our readers had sent some exclusive spy shots of Alto 800 which were liked by our followers and today we have another interesting piece of information about the same. 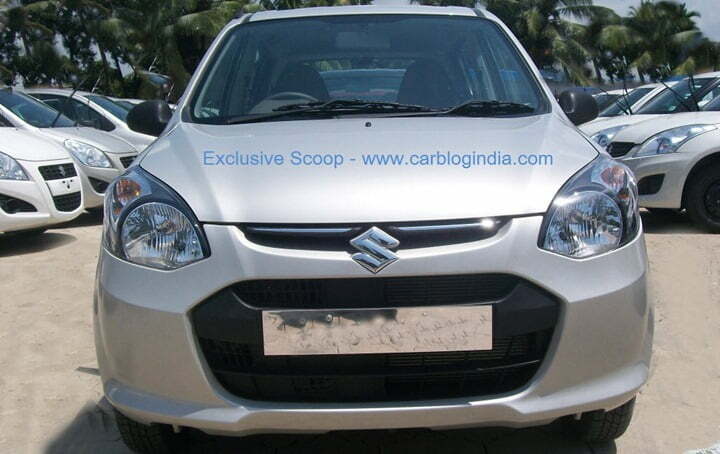 Just like Maruti Suzuki has been exporting its other products, it plans to export the Alto 800 as well. The company will start shipping the new model to international sport destinations such as Africa and Latin America by December 2012. The official launch of the car is due on 16th October 2012 and with this new model, Maruti will try to regain the lost market share that is currently being owned by Hyundai Eon. The Eon was launched a few months back and initially the response was underwhelming. But gradually the Eon picked up sales and now has captured a considerable share of the small car space. Planning to give Eon a run for its money, the Alto 800 is designed on the platform of Alto (which is suggested by the name itself). It will be light, compact and is expected to deliver an impressive fuel economy of close to 22 KMPL (ARAI certified figure would differ slightly). To compete with the Eon even more aggressively, Maruti will offer airbags in the new model, making it a much safer option. Also Maruti would be launching a CNG powered variant of the Alto 800 for buyers who often cover long distances and want low running costs. Last but not the least, the pricing of the petrol version will be close to Rs.2.5 lakhs while the CNG variant will cost you around Rs.2.9 lakhs ex-showroom. 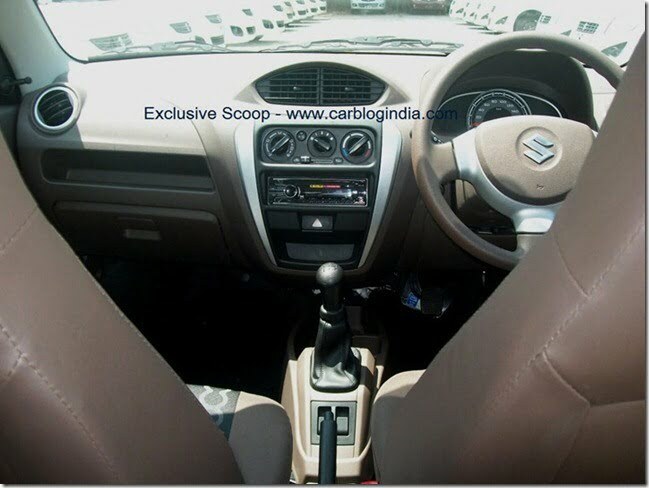 As of yet, this is all we have about the car, but we are keeping an eye on the latest activities of Maruti Suzuki. Stay tuned for more updates on the same.